You could have the skills to make a real difference to a local family. 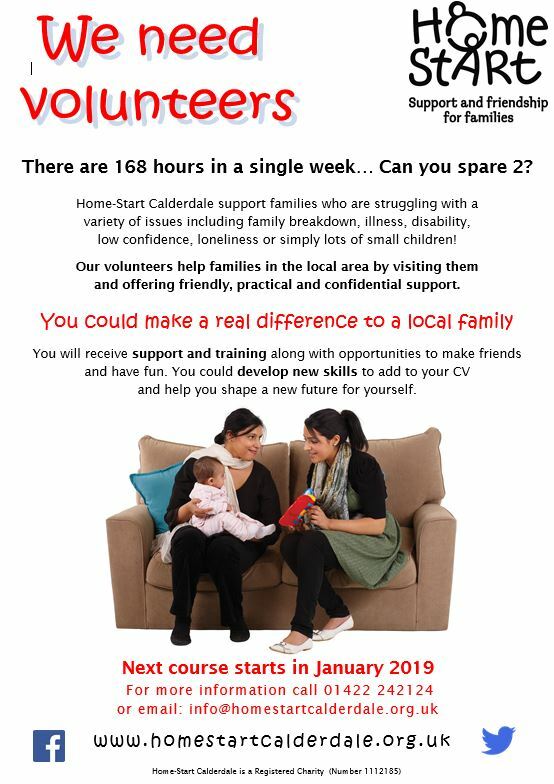 Home Start Calderdale is currently looking for volunteers who have parenting experience to support families in the local area by visiting them and offering friendly and practical support. By giving just 2 hours a week you can help local families to cope with the pressures they are facing and make a difference to both parents and children. To learn a little more, courses are starting in January 2019 at Beech Hill School and Todmorden Health Centre. 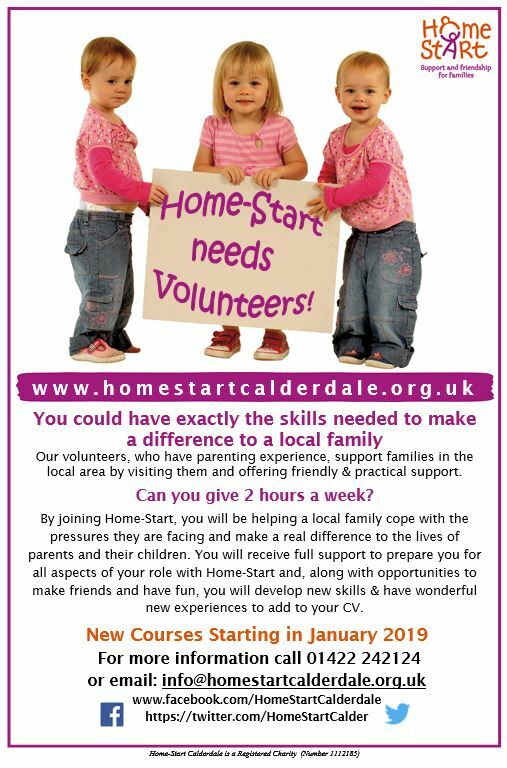 For more information call 01422 241124 or email info@homestartcalderdale.org.uk.